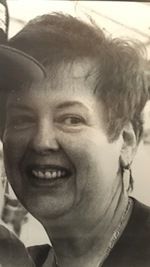 Brenda Levinowsky, 80, of Farmington Hills, Michigan, died on 30 March 2019. The Funeral was held at IRA KAUFMAN CHAPEL - GARDEN CHAPEL on Tuesday, 02 April 2019 at 10:00 AM . Rabbi Tamara Kolton officiated. Interment at Workmens Circle Cemetery.